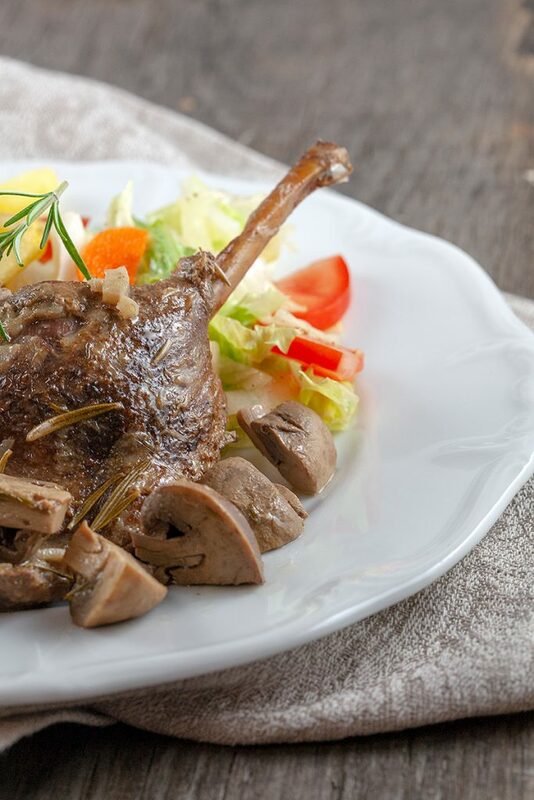 Make sure to get the duck legs out of the refrigerator in advance. SEASON the legs with pepper and salt on all sides. HEAT a large skillet on high heat and cook them on all sides until they’re golden brown. 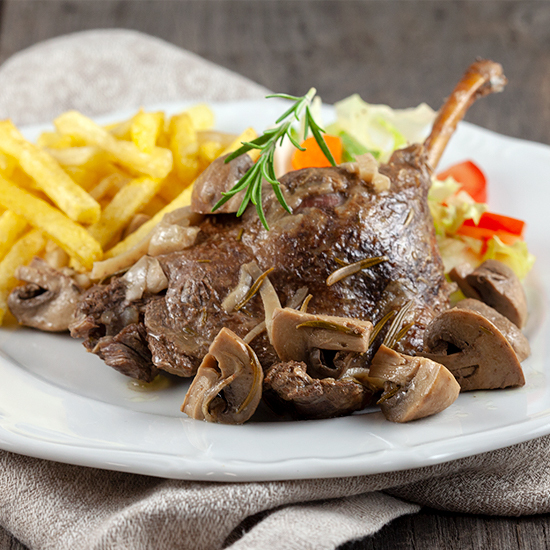 It’s not necessary to add any extra butter or oil, the duck fat will melt during baking. 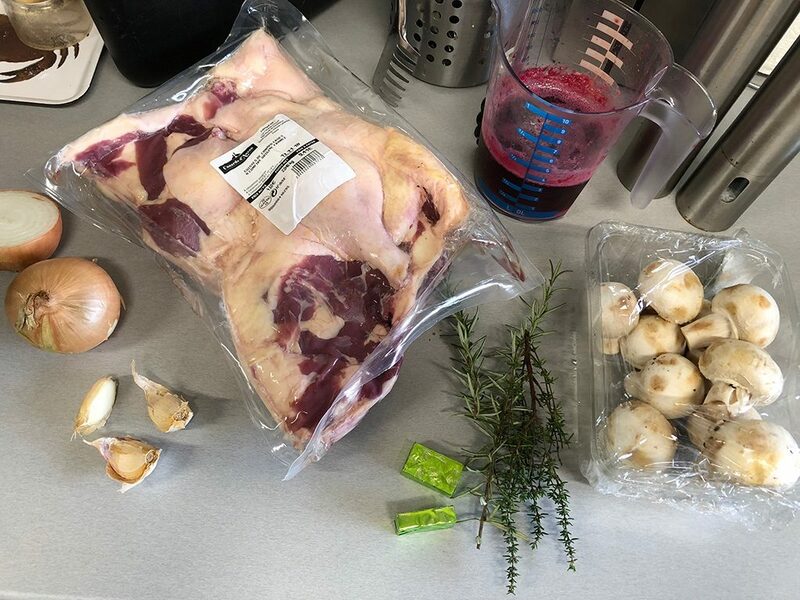 TRANSFER the duck legs to the slow cooker. PEEL the onion and garlic cloves, divide the onion into thin half rings and finely chop the garlic. Shortly sauté the onion rings in the large skillet and add a bit of the pomegranate juice to the pan to collect all the flavors. POUR the onion rings with the tasteful pomegranate into the slow cooker. RINSE the mushrooms using a brush or paper kitchen towel and divide them into quarters. ADD mushrooms, garlic, sprigs or rosemary and thyme to the slow cooker. SET your slow cooker to the lowest setting and let it ‘cook’ for about 6 hours. 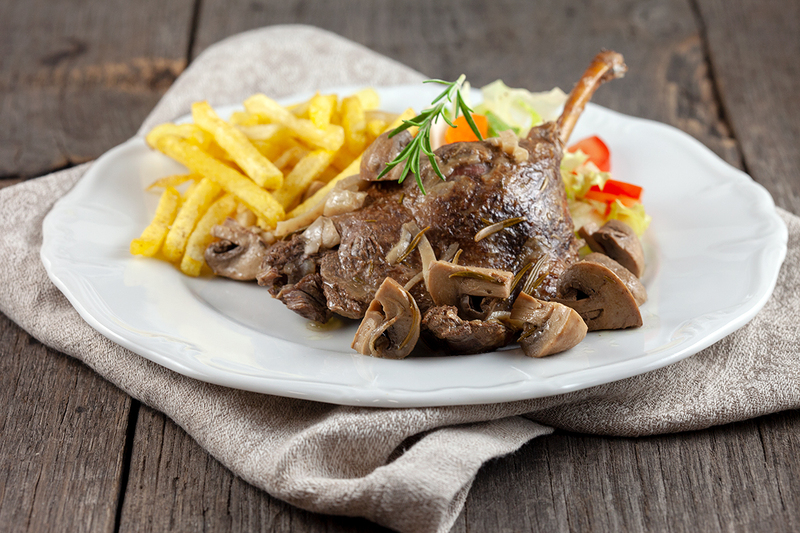 REMOVE sprigs of rosemary and thyme and serve these juicy duck legs with a salad and fries or pommes dauphine. Enjoy!